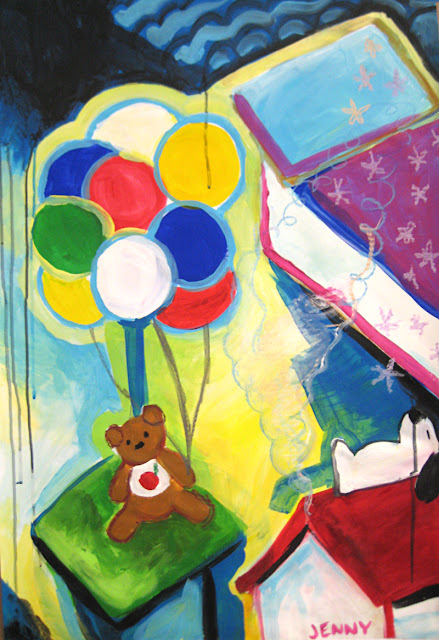 "Going to Sleep" - Phase one a painting based on the memories of my childhood bedroom. 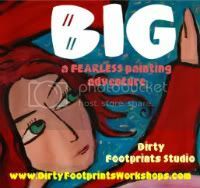 I'm having an utter blast taking part in the BIG painting workshop! And more importantly, I'm actually painting... for myself and for the need to paint, not for any end goal of "for sale" or "for show." It's quite lovely. 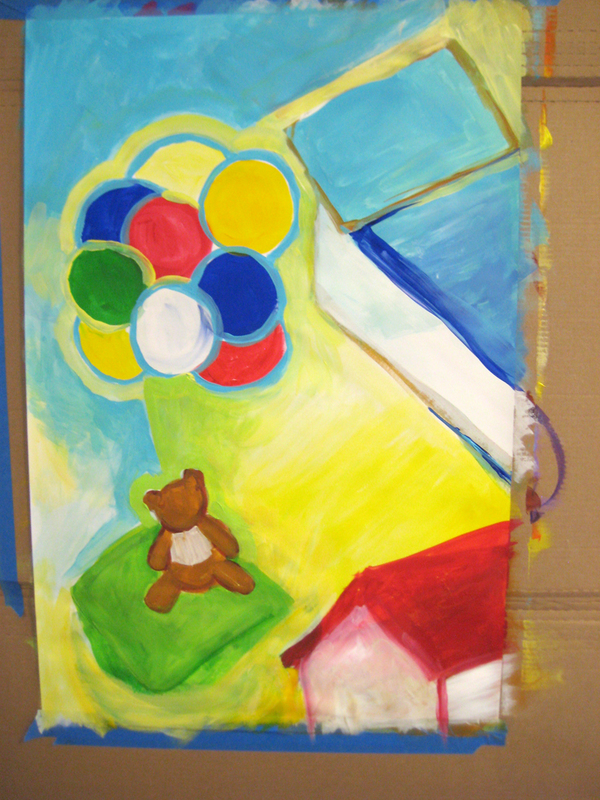 One of the most interesting aspects of painting this way is how the paintings evolve on their own. It is a curious process. For example, in the piece seen above, I started simply with the memory I have of a Winnie the Pooh lamp in my childhood bedroom. Other objects insisted on being included... a teddy bear instead of Pooh, a Snoopy humidifier... a closet door, a pillow cover. "Going to Sleep" - Phase two. Signed "Jenny" which no one but family and friends from youth call me anymore... seemed appropriate. Suddenly the memory wasn't just about the cheery lamp anymore. It took on the feverish, trippy feeling of drifting off to sleep as a child with the flu. Hints of happiness and comfort, hints of dark shadows and weird dreams. oh Jennifer, how I love this painting. Thank you for sharing the story of how it came to be.